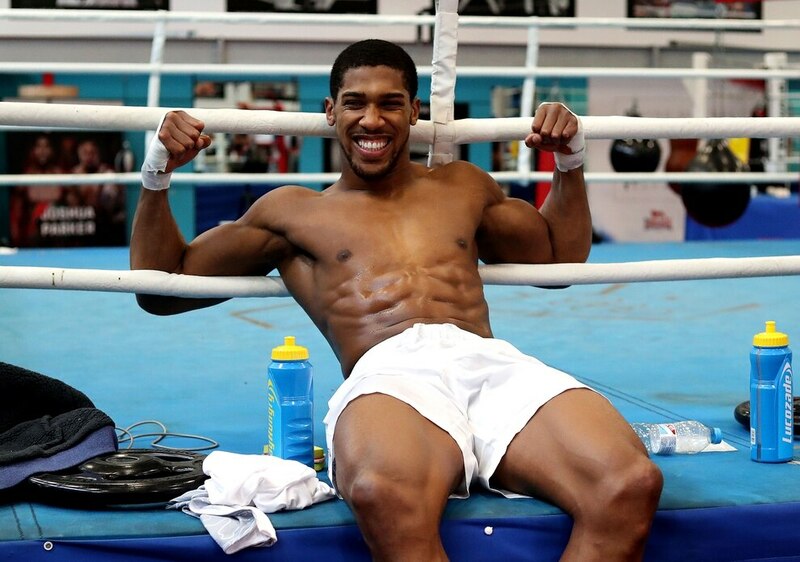 When it comes to sporting superstars, they don’t come any bigger than Anthony Joshua. Anthony Joshua at Wolverhampton Racecourse Dunstall Park for Black Panther Ball. Anthony Joshua during the workout at the English Institute of Sport, Sheffield. Humble, hungry and infectiously happy, the WBA, WBO and IBF heavyweight champion of the world is doing something British boxing has never seen before. In just 21 fights he has reached the top of his sport – with American Deontay Wilder, the holder of the WBC belt, the only man standing in his way from making history and unifying the entire division. It’s the way he has gone about his business though that has seen him grow a fanbase like no other. While sports fans idolise him, Joshua’s politeness, respectfulness and joy for life has seen him capture the hearts of the nation. The reality is everyone and their nan loves the Hertfordshire-born heavyweight, who seemingly hasn’t changed despite a rag-to-riches tale. Wealthy beyond his wildest dreams, it is only in the past 12 months the 28-year-old has moved out of the former council flat he shared with his mother in Golders Green. His new house is nearby and a 15-minute drive from a £500,000 Finchley apartment he bought for his ex-girlfriend and their infant son, Joseph. But while he is now a superstar with the world at his feet, Joshua isn’t getting carried away. And he is absolutely determined to enjoy his life and time in the spotlight. “I’m in Wolverhampton, I’ve never been here before and I want to come back next week because it is lively,” he said when meeting fans in the city. “It’s a two-hour drive from my home and I’ve never been here, can you believe it? “I need to start exploring. We’re three hours from Morocco by plane. Two hours from France on the Eurostar. “I hear athletes that say they can’t do things because of their insurance policy. I’m not going to protect myself from reality. When speaking to Joshua, two things are clear. The first is that he is incredibly grateful for the life he now has. He may have worked incredibly hard to get there, but you’ll never hear him moan. “I’m not complaining about anything,” he continued. “You just have to learn how to deal with the hard work. I’m smiling. The second thing that strikes you about him is how obsessed – repeat, obsessed – he is by becoming the best he can be. He knows he is on the brink of being regarded as one of the all-time greats – and that is something he isn’t going to let pass him by. “I’m very comfortable with where I am now,” he continued. “I’ve not reached my peak. I have made a few mistakes and I know what I want to achieve. “This is not about the money. What will make me content is knowing I gave my best. “There is no financial package out there that can make you feel content with your life. I want to give it my all, that is what matters to me. “One day – and that day will come – I don’t want to be sat watching the next generation of boxers thinking I didn’t achieve my potential. “I want to give it my best – inside and outside the ring. “Now I see myself as a student of boxing. I’m always watching old fights. I love Evander Holyfield. “He is the first fighter I have watched that I can really learn from. He has got rhythm. “And I respect him so much because he didn’t dodge anyone. “Mike Tyson didn’t box Riddick Bowe. Riddick Bowe didn’t fight Lennox Lewis. Joshua’s rise to the top has been unprecedented. After winning gold at the London Olympics in 2012, he seriously contemplated defending his title in Brazil four years later. Instead, he made what, for him, was a difficult decision to go pro. Yet he has since stormed through the heavyweight division with his eye-catching win over Wladimir Klitschko one of the greatest bouts of all time. Away from the ring though, things haven’t always been plain sailing. In 2009, Joshua was put on remand in Reading Prison for what he describes as ‘fighting and other crazy stuff’. Then in March 2011, he was pulled over for speeding, with police then finding cannabis hidden in a sports bag. And Joshua admits there was a time when he was in danger of losing his way. “At school, I couldn’t sit down for six hours a day – I was an active kid,” he said. “It’s hard to go from lesson to lesson. Some kids excel at that, but most kids want to be out. “I think my teachers would say I was a nice kid because I was always respectful, but I was a little bit disruptive at times. 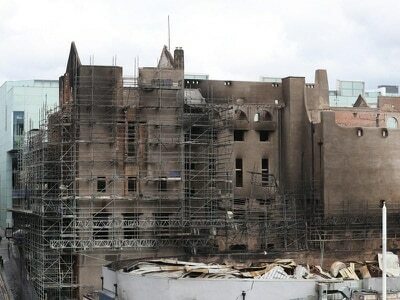 “That age, 16 to 18 years old when you leave school is a real tricky time for a lot of kids. “They don’t prepare you for the real world in terms of what are you doing next. “I was still getting into a bit of trouble up until about 2011. “I was in London. I lived on an estate and I wanted to party and go out drinking. “But I was a member of an amateur boxing club and I got a call to go up to Sheffield to be involved with the Olympic team. “I hadn’t come from a sporting background. I didn’t have a clue what Olympic boxing was. “But I went there to see what it was about and they kept me on the development squad. “I wanted to kind of keep my hustle going on. I focused on balancing the two. Joshua admits both his parents are proud of how he has since dedicated his life to his sport. “I wasn’t ever looking for trouble, I was always respectful because that is how my parents raised me,” the fighter said. “You know what parents are amazing at? When you are younger you don’t know if things are tight, if they are great – all you know is love at home. “That is all they taught me and that was a blessing. We were loved, my parents worked hard. They wanted me to be in education. But then I knew I wanted to be a boxer because it’s so important you do something you enjoy. “My mum gets nervous when I fight. She’s never been to a fight, I won’t let her – it’s not somewhere a mother should see their son. “It’s a gladiator sport. But she respects the man it has made me. “At 18 I found boxing, and I developed because of the sport. I learnt more discipline, I had a healthier lifestyle. “I was taking instructions from teachers, I was listening. “My mum has seen that transition. And she can see the good people I have met. She loves it for that. “But it’s not about now. In five years’ time, there are fighters who can’t string a sentence together. 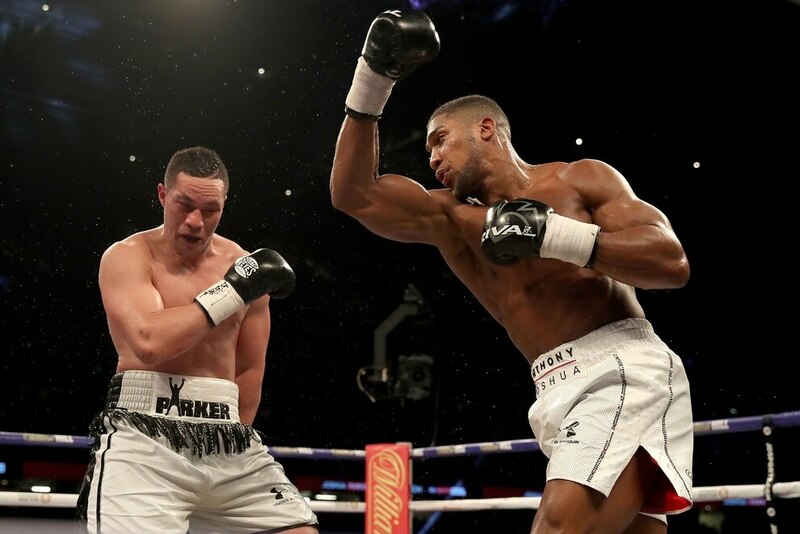 Having overcome the likes of Dillian Whyte, Charles Martin, Dominic Breazeale and Eric Molina, it was in April 2017 Joshua took on Klitschko in a unification bout for the vacant WBA ‘super’ title. The belt had previously been held by Tyson Fury. And what followed was one of the most brutal and pure fights the heavyweight division has seen in decades. Klitschko was over in the fifth. Joshua dropped in the sixth – with both men hitting the deck in a manner that suggested they would not get back up. Victory was eventually secured by the Brit courtesy of an 11th-round knockout. But for Joshua he had achieved more than a win – with Klitschko going on to become something of a mentor for the 28-year-old despite his loss. 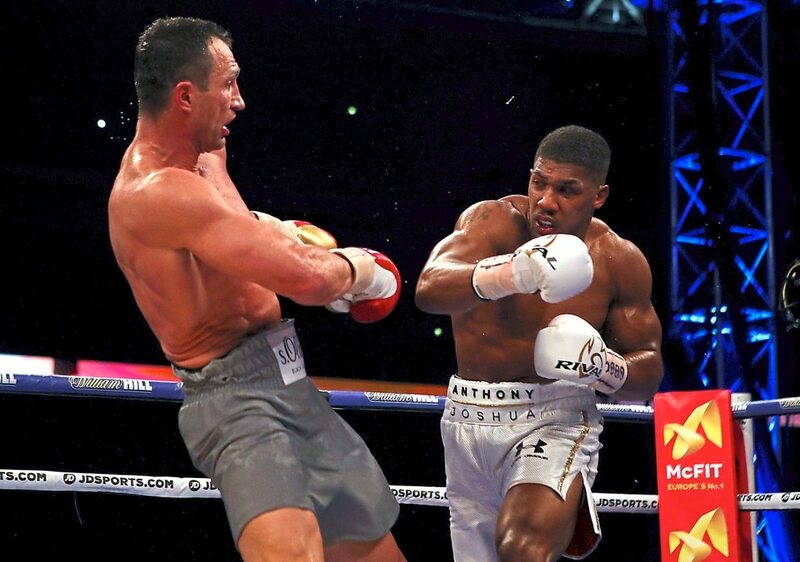 “I really loved that fight, it was like something from the 70s,” Joshua said. “It was a great fight to be in. “In the fifth, I went to a neutral corner, looked around and I couldn’t believe Wlad was getting up – he was like the Terminator. “Klitschko has had more title defences and successful wins than any other fighter in history. He is phenomenal. Even before the Klitschko fight, Joshua was loved by the public – with the gold medallist not feeling the need to take part in the usual trash talk boxers often feel they need to sell fights. But while he now sees the Ukraine-born fighter as a role model, he admits he has always been conscious of his public persona. “I have worked hard at it,” Joshua admitted. “I put it like this. In football you can join a legacy, you can sign for a club that has had success over hundreds of years. “In boxing, you have got 10 years to tell your story to the world. I understand the importance of that. “But in terms of responsibility, it’s important to be who you are and not live up to a character. “I have made mistakes, I admit that. “And one of the reasons I respect Klitschko is because he taught me it’s one thing to be a champion in the ring, but it’s harder to maintain that discipline and humbleness outside the ring. “I don’t want people to feel disconnected with me. Joshua is well aware the world is waiting to see his unification bout with Wilder. Talks are ongoing. And if an agreement with the American can’t be reached, he will instead have to fight his mandatory challenger, Alexander Povetkin. If/when the Wilder fight does happen though, Joshua has promised his fans they will see a side to him they have never seen before. “I can remember when I was fighting Carlos Takam, all anybody was talking about was unification fights with Joseph Parker and Deontay Wilder,” Joshua continued. “There I was preparing for a fight. But everyone was talking about the other guys. “I had to box Takam and win convincingly without taking too much risk. “Parker stepped up. But then everyone was talking about Wilder. “I had to do the same thing again and be clever. I couldn’t take any risks. “Now if I fight Wilder the winner would become the first heavyweight to hold all four world titles at once. “So I am going to go all guns blazing. “Before it’s always been me that has something to lose. But in that fight, I have got nothing to lose. “I am going to go to war. Winning that fight is my passion. “Deep in my soul, I have got that burning desire to take Wilder out. “I’ve still got to be clever. This is heavyweight boxing, all these guys have to do is land one punch. One thing Joshua is adamant about though is that any fight with Wilder should be in the UK, and not in the US as his rival wants. “The support in the UK is incredible,” he continued. “My fans give me so much. And if I’m going to make history I want it to be here. “People want to see the fight in this country. We need to make it happen here. 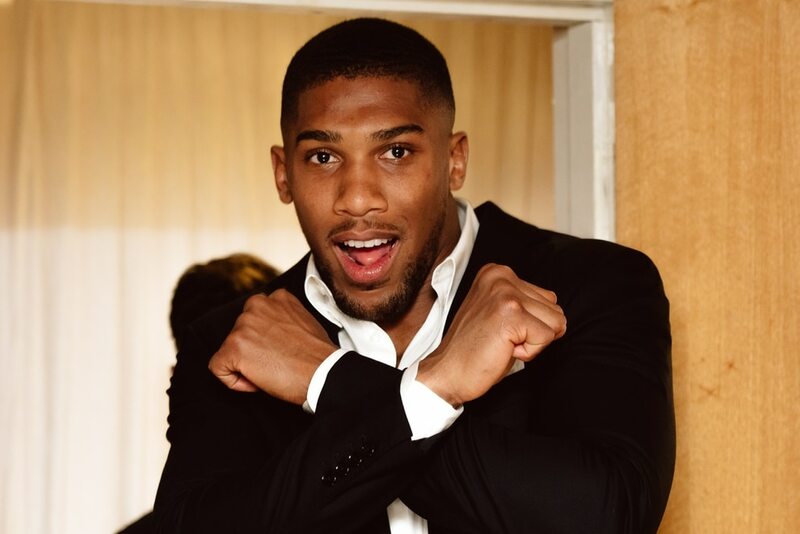 Alongside Wilder, Joshua is also eager to one day fight Fury. “He has had his issues but when he is ready I’ll be ready 100 per cent,” he added. “He needs a few more warm-up fights first. “But the good thing is we won’t have that issue of where we are going to fight.